1. Shoes were soaked in water for a long period of time. As a result, the glue bonding the soles to the shoes disintegrate over time. I am guilty of that! 2. The weather in Singapore is hot and humid, which accelerate the disintegration process. I think the shortfall will happen in any makes of shoes under the same conditions and exposures. However, what 5 Ten should do better is to setup their product testing facilities in Singapore, as any shoes that pass the test in Singapore harsh weather conditions will most probably survive in anywhere. 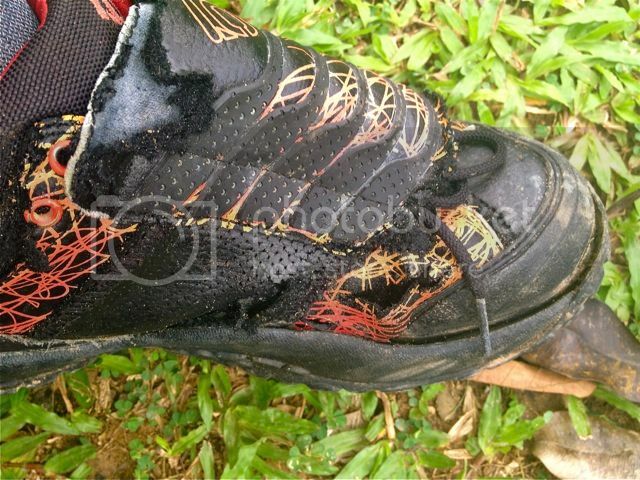 5 Ten should also re-look at the sole design, perhaps to stitch the soles instead of glue. I am a die hard fan of 5 Ten shoes. The advantages of comfort and stickiness far outweigh the problem, which I think can be minimized by not soaking the shoes in water during wash. In fact, I bought another 5 Ten shoe - Danny Macaskill to replace the Karver. Danny Macaskill is so much lighter, yet it stick like glue on the flat pedal. Although the construction is not as tough as Karver, the protection is good enough for trail ride in Singapore. One main advantage Danny Macaskill has over Karver is that the sole is stitched to the shoe, NOT glued. 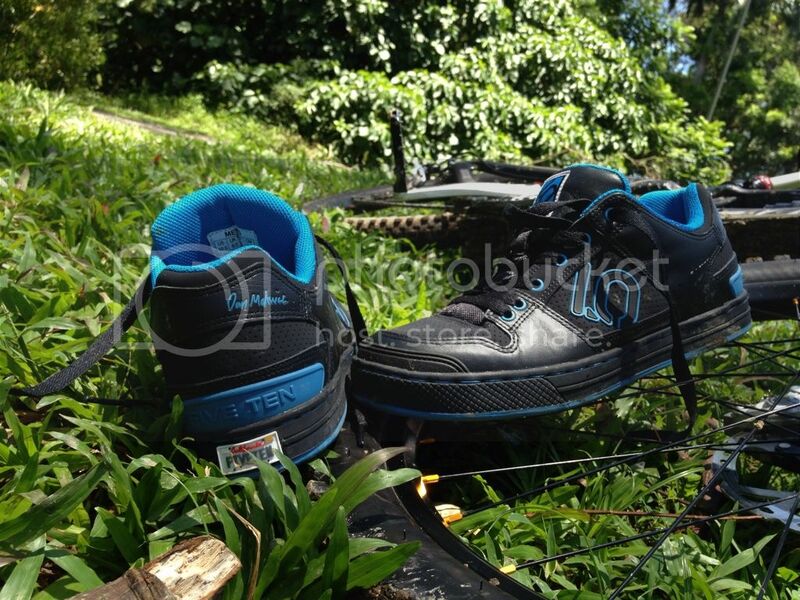 Did a few test rides at BT bike trail, and the Danny Macaskill 5 Ten passed with flying colors. It is so light that it took me lesser effort to climb compared to Karver. 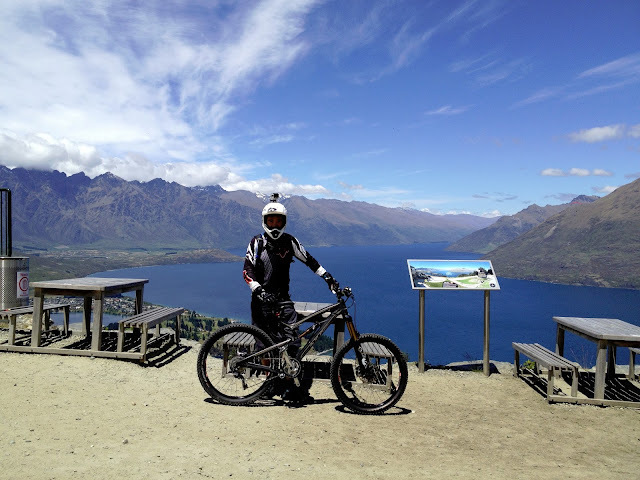 When going downhill, I feel equally confident with Danny Macaskill. In fact, it is easier to bunny hop with Danny Macaskill than Karver, as the more flexible nature of the sole enable me to 'hook-up' the flat pedal better. The ventilation vents on Danny Macaskill are definitely a plus for all year summer ride in Singapore, as compared to air-tight Karver. Well, let's see how long can my new Danny Macaskill last!